I met my goal this month and actually read two books! Yay me! 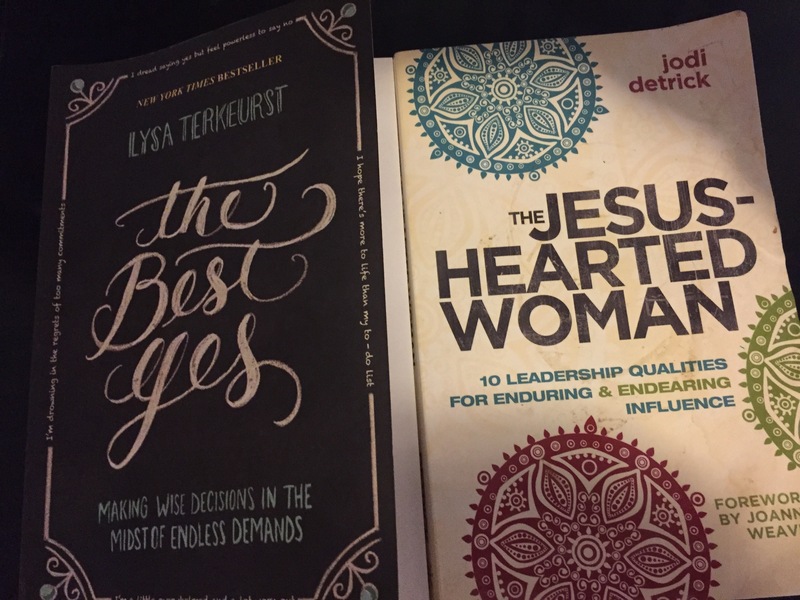 The Jesus- Hearted Woman is a book that I have had for four years now. I have started it a few times over the years, but just never been completely drawn in. I like those books that you can’t put down…. The ones where you find yourself reading way more than your daily goal without even realizing it. Now don’t get me wrong, this was a great book. It made wonderful points and encouraging statements. It just wasn’t my easiest read. I’m sure that it is one that I will go back and read my journaled notes on and will continually be blessed throughout the different seasons of life. It’s worth checking out… Even if it wasn’t life altering for me at this point in time. The Best Yes was an eye opening book. I am so guilty of trying to be a people pleaser and trying to do what everyone wants/expects of me all the time. This book taught the point that just because something is right and good, doesn’t mean that it is always right and good for you. Sometimes that truth can be a difficult one for us to not only accept, but to apply in our lives. I don’t want to give key concepts away, but this is absolutely a book that I would encourage anyone in ministry to read!! Check out either one of these great books on Amazon or the next time you’re at the bookstore! !